"What is the best antivirus". We get this question all the time. Its never a simple answer because we know what customers are really after.....staying safe on the internet. The best protection is "Layers". - A layer of education, knowing what to click on what not to etc. Even the popular good sites have infections. - A layer of antivirus not set at its defaults. - Browser protections is another layer, having script and ad blockers in place, knowing which browsers to use. - There's a layer of having a VPN installed where your connection is always tunneled especially when your in public. - Phone calls from strangers wanting to get in your PC saying you have an issue. They can steal your identity, and credit card info. - A layer of further appliances to add to your network like unified threat firewall boxes and strongly encrypted with strong password wireless. - Lastly, never solely rely on just one method of protection. Even your best antivirus is not going to stop 100% of the attacks that are out there trying to get into your computer. Every situation is different. Each will have their own set of circumstances. Call us for a complete assessment of your home or business. Please share this if it was helpful to you. There's a giant rave of people jumping on this device. It is a 24/7 always on "Listening Device" for your home that automates many things throughout your home via voice command. I copied my post from a very technology oriented group thread/discussion. Most, if not all the comments made by owners and tech enthusiasts were positive about this product and its abilities. Please consider very carefully when buying these types of devices. I feel like someone needs to let others know of the dangers and some of the things to consider before before purchasing products like this. No one cares about privacy anymore. They're willing to exchange comfort, & convenience, for safety and security on many levels. In an effort not to sound like a troll or an alarmist against this particular product....Technology is making people lazy and dumb in my opinion. Many will be very very sorry in the days ahead for their purchases in devices that they feel helps them in their lives while yet could be serious compromises ti security. They don't just need to fear hackers but our government, and other governments. "You build a better mouse trap and mother nature build a "better mouse" This is my theory for how hackers operate. How often is Apple sending out updates for the iPhone to stop the most current Jailbreak and as soon as that patch comes out, jailbreakers are finding ways to get around it. I know this community well as I've followed them for many years. They quickly resolve and create exploits to gain admin privileges as soon as a patch comes out. If we can see a community of people working diligently for jailbreak exploits, how much more goes on that we don't see with other things? I love Internet Of Things. But we need to tread water lightly in some areas just for this reason. We don't want to be a 'Target"...Pardon the pun against a nationwide chain store and their malware attach that compromised millions of credit cards. . We should be taking more consideration before opening certain doors. Manufactures are not so quick to patch some things as they should be to stop exploits. Compare Adobe Flash. We are opening the doors for Hacker Heaven by some of these devices. Go ahead guys. Eat them up. Pay no attention to the warning signs. Think of the safety and security of your homes and your families living in those homes. Anyway....I'm just rambling....spouting off about how we need to take security more seriously on some things. Its your choice. Unless you opt out, Windows 10 will by default share your Wi-Fi network password with any contacts you may have listed in Outlook and Skype -- and, with an opt-in, your Facebook friends! 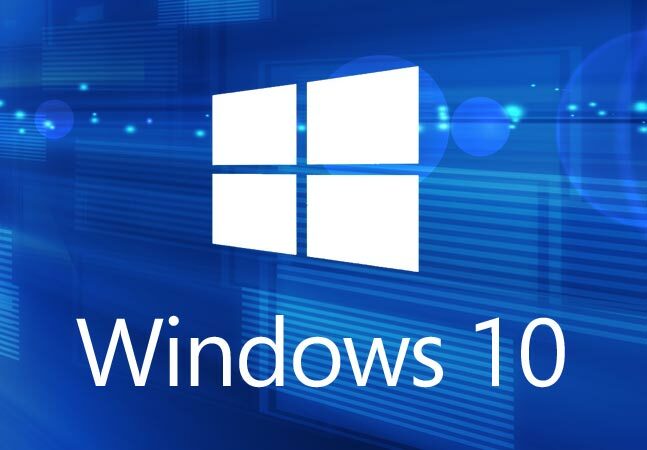 This is a huge security flaw that Microsoft has intentionally added into Windows 10. But you must "Opt-Out" of it if you don't want your wireless password shared with EVERYONE you know. Any questions or concerns or if you need help turning this feature off please don't hesitate to call us. Ever lose your password? Are you still using a notebook to write all of your passwords down? For a number of years I have been using a password manager on my computer and let me tell you....it has dramatically changed my life. I have hundreds and hundreds of passwords I need to remember because of the line of work I'm in, and I've found that there's no way humanly possible to remember them all. So I tried took the leap. I Tried one of these password managers. And Woe and Behold! I found that I love them!. I preach this everywhere I go. Why not use your computer to help you manage passwords? It just makes sense. And if your worried about security. Well, DON'T put your most important passwords into it, just put your general everyday use passwords. Like maybe your local newspaper sign in password, or Facebook, or even a few shopping sites. NEVER your bank sites. Security is their biggest concern. So trusting them to handle your passwords is ok. They have the processes in place to keep you protected. Below is a link to a list of 5 GREAT password managers that I recommend. Lifehacker is the name of the site and they have some of the best ideas about improving your life. They're kinda like Consumer Reports but put together by a bunch of Geeks. Happy passwording. And if I can be of any help feel free to drop me a line, call, email, even text me.